SENECA FALLS, N.Y. -- Police in upstate New York say a mother and a stepfather are facing charges after a three-year-old boy was beaten so severely he was left on life support. 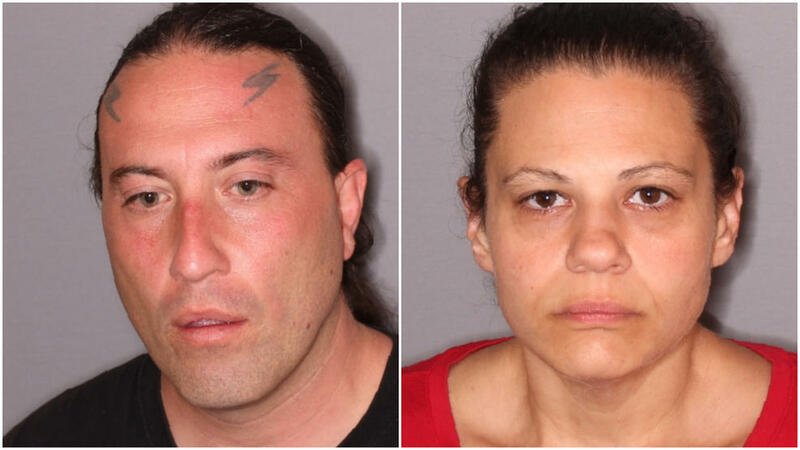 Seneca Falls Police Chief Stuart Peenstra said Donald Bovio and Alison Bovio, both 38, were arrested late Monday night on charges of first-degree assault, reports CBS affiliate WSTM. Peenstra said Bovio called 911 Sunday and reported that the boy had fallen down the stairs. Police responded to the Seneca Falls apartment and found the boy unresponsive and with substantial trauma to his head and body. He was airlifted to a Syracuse medical center in critical condition. Seneca Falls Police, Seneca County Child Protective Services and New York State Police launched an investigation and determined the child's injuries were not a result of a fall, but of an assault, the station reports. Court documents obtained by the station say that both suspects allegedly struck the boy "with a belt numerous times and intentionally caused his head to strike a hard floor surface." The boy was reportedly knocked unconscious. Doctors determined he showed no signs of brain activity, had bleeding on his brain and wasn't able to breathe on his own. Leaving family court Tuesday Donald Bovio denied beating the boy, the station reports. When asked if he felt remorse, Bovio replied, "Yes I do." Both Donald and Alison Bovio are being held at the Seneca County Correctional Facility on $50,000 cash, $100,000 bond, according to police. Prosecutors said more charges are possible as the investigation continues, the station reports. Police said the couple moved to the Seneca Falls area about two months ago from Salem, Massachusetts and Donald Bovio has an "extensive criminal history." Alison Bovio has no prior criminal history, according to police. The couple is due back in court Friday.